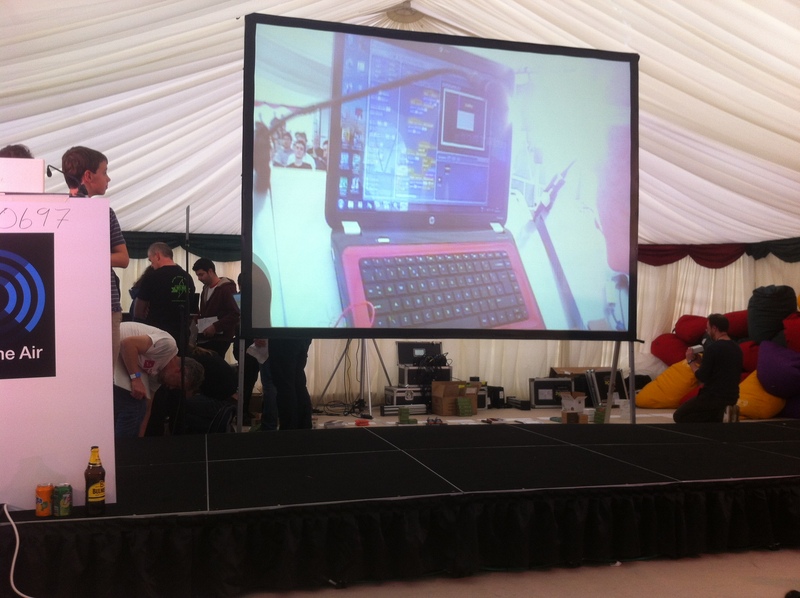 Last weekend Linda and tef went to Bletchley Park, along with 600 designers, developers, and hackers for two days of talks, workshops and coding. Friday included Linda’s talk about Code Club, and a tour of the Computer History Museum, before everyone went off to build amazing things. Saturday included tef’s talk about social issues in programming, the Scratch workshop, and the hackathon presentation. 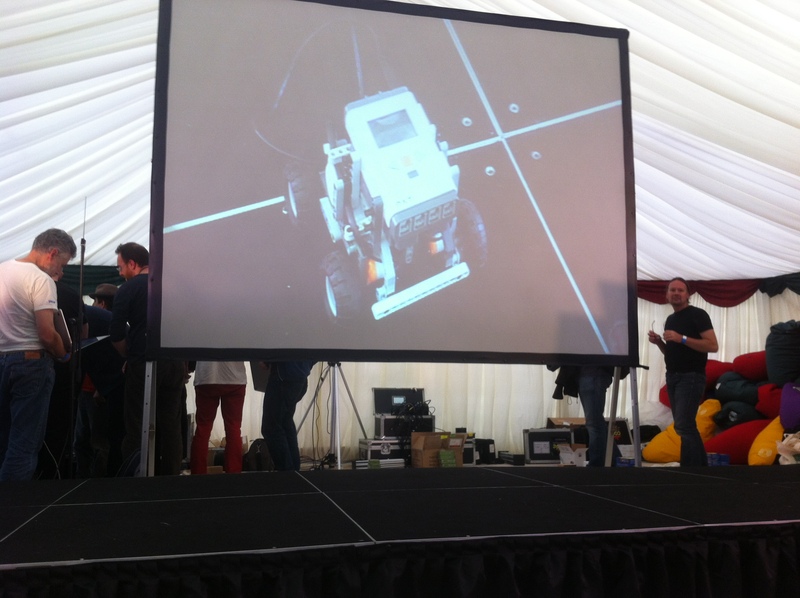 Some of the students from the workshop got on stage to show off what they had written in Scratch, including a racing game, another demonstrated their Minecraft map of Bletchley Park, linked up to a robot which moved in tandem as you explored the map (which won a prize!). Just before we left, we went back to the computer museum for a quick tour, and to speak to some of the volunteers. We even got a souvenir printed out on punched taper, which is now proudly on display in our office. We had an excellent weekend, and would like to thank our students, the OTA organisers and participants, and The National Museum of Computing too. 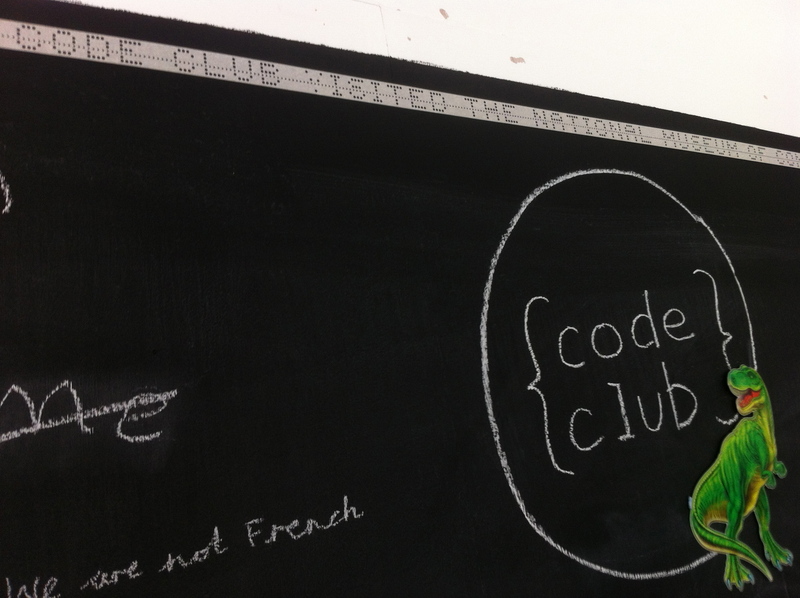 Earlier this month, Sam and I spent four days enthusing about Code Club at Campus Party London. Campus Party is a week long, 24 hour technology festival, with talks, workshops, and gaming. Along side Mozilla, Popup Talent and others, we had a stall in the Think Big/Make the web venue, where we taught people a little bit of scratch, and built pianos out of Bananas. After four days of chatting to campuseros, finding volunteers, and translators, one of us dressed up as the Firefox mascot for one last stroll around the O2.